I wouldn’t trust a plugin to do a WordPress backup, but if you must, try UpDraft and cross your fingers. First of all, how will you ever know that the plugin is secure? How will you know if the plugin is working correctly? Finally, you’ll need the plugin to restore the backup–what if the plugin isn’t updated for the current version of WordPress? A WordPress installation is composed of two separate but integrated components–and a full backup requires you to backup both components. First (and easiest) is the php and script files that run the installation and the template. These are files that exist on your web server/hosting account. You back up these files with an FTP program like FileZilla. An FTP backup is the easy part of backing up a WordPress installation–but won’t represent a complete backup. You need an FTP program installed on your local PC, we recommend open source FileZilla. Use your web hosting password and log into FTP using FileZilla. Download the files described above to your local machine. The second component of a WordPress installation is the WordPress database, and backing up this part is a bit more difficult. The database stores user information, all the text of your pages and posts, and your plugin settings. Your WordPress database runs within software that runs on your webserver–it isn’t a file or set of files that is easy to just copy to your local PC. In 99% of cases, you can get to your database by logging into the admin area for your web hosting account. For a Hostgator or Bluehost account you simply point your browser to yoursite.com/cpanel (cpanel is common web hosting management software). For GoDaddy and some other hosts that use their own administration software, you’ll need to hunt a bit to get to your database. 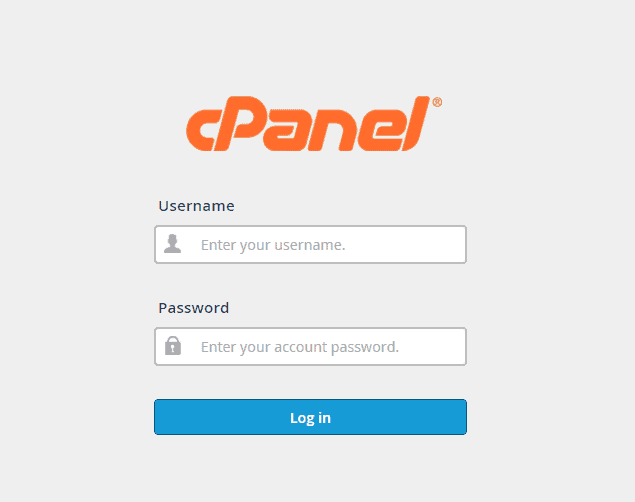 If I go to tastyplacement.com/cpanel, I get to this screen. From there I use my account password; pretty darn easy. Step 2: Find phpMyAdmin and Get In! If you have cPanel, your phpmyadmin is in there somewhere…find it and click to enter the program. Then you’ll see the phpMyAdmin software interface, and your databases will be listed in the left column. You want to keep your server name and database names private, so I’ve grayed out mine here. Click on the name of your WordPress database to enter the database. I would use these options without customizing anything. You might be tempted to change the “Format”, but don’t. SQL backup format is going to be the most universal and will cause the fewest problems when restoring your backup. Just click “Go” and download the file to a safe place. Questions? Post ’em up in the comments! Your WordPress backup will be your savior if your WordPress site gets hacked.